09 February 2018, Delhi: The new 2018 ISUZU D-MAX V-Cross and D-MAX S-CAB Hi-Ride variants were launched in Pune at the new 3S (Sales, Service & Spare) dealership facility of JMD ISUZU. The new 2018 V-Cross comes with Electronic Stability Control (ESC) with Traction Control System (TCS), Auto Cruise Control, Daytime Running Lamp (DRL), Rear view camera and a host of other contemporary new features. The S-CAB ‘Hi-Ride’ variant comes with a higher ground clearance, wider body and a higher payload. 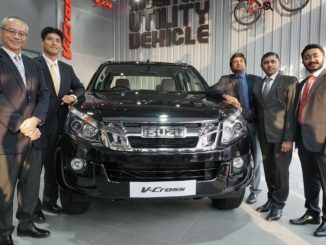 The company also showcased the ISUZU mu-X premium full-size 7 seater SUV and the entire range of D-MAX models. 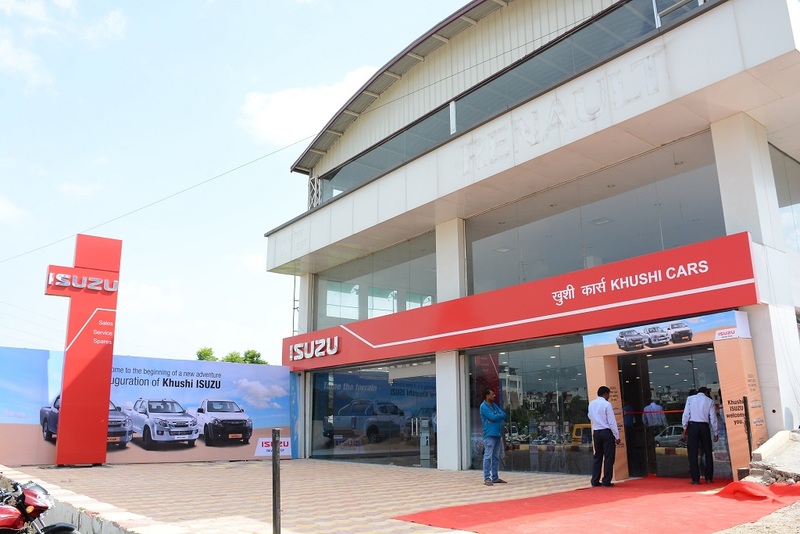 The new 3S (Sales, Service & Spare) facility in Pune has been designed and built according to ISUZU Dealership Standards and is strategically located so as to provide a convenient access to the visitors and customers. 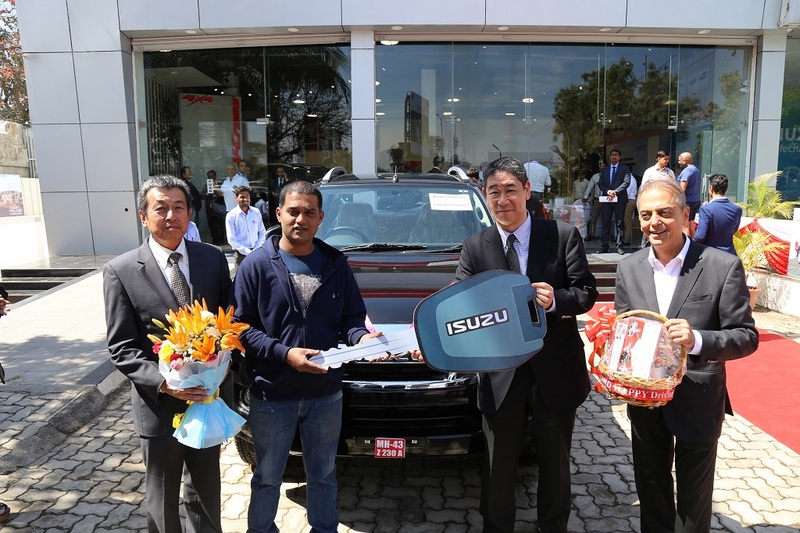 The dealership employees have been trained under the supervision of ISUZU personnel and will provide a quality customer experience to the visitors. The showroom is designed to promote the ‘spirit of lifestyle & adventure’ in the region. The ISUZU D-Max V-Cross is India’s First Adventure Utility Vehicle, and caters to those SUV buyers who seek adventure and want to stand out among their peers. The V-Cross comes with a highly capable 4WD, modern SUV features and a large deck. The Isuzu D-Max V-Cross has been awarded as the ‘Lifestyle Vehicle of the Year’ at the BBC Magazine TopGear Awards 2017 and at the CNBC-TV18 Overdrive Awards 2017. The company recently launched the 2018 V-Cross with additional features – Electronic Stability Control (ESC) with Traction Control System (TCS), Auto Cruise Control, Daytime running lamps (DRL), LED Tail lights, Rear view camera, 2-Din touchscreen entertainment system and Side-step. The ISUZU mu-X is a premium, 7-seater, full size SUV, designed to offer the best of both worlds – All Muscle, and All Heart. It is a perfect combination for those buyers who seek not only style, power and a dominating road presence but also want to have the best-in-class space and comfort for their family. 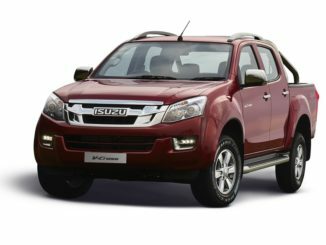 The ISUZU D-MAX S-CAB, a 5-seater pickup, offers a unique combination of Space, Performance and Strength in Smart proportions. It caters to the modern businessmen and professionals who seek high level of sophistication, space. The S-CAB is now also available in a Hi Ride variant, which provides a higher ground clearance required for travelling smoothly over challenging roads. The S-CAB is also ergonomically designed and offers superior features for safety, comfort and convenience for the modern pickup driver. The S-CAB has been awarded as the ‘Commercial Vehicle of the Year’ and Reader’s Choice CV of the Year’ by Flywheel Auto Awards 2017. The ISUZU D-MAX Regular Cab, a single cabin pickup, is a tough, powerful and reliable workhorse that is globally known for its performance and life-long durability. The Regular Cab is available in both flat deck and cab-chassis variants. The Cab-chassis variant is an ideal platform to build reefer containers for cold chain transport applications; the flat deck 4×2 and 4×4 variants excel in meeting the wide range of applications in commercial transportation. The Cab-chassis variant can also be customized for special purpose applications in the logistics and allied business requirements. The ISUZU vehicles are attractively priced with ISUZU D-MAX V-Cross (High) at Rs.15,78,994/-, ISUZU mu-X (4X2 variant) at Rs.24,78,524/-, D-MAX S-CAB (Hi-Ride) at Rs.8,66,825/- and D-MAX Regular Cab at Rs.7,08,634/- (all prices, ex-showroom, Maharashtra). Isuzu Motors India manufactures these products at its new manufacturing plant in Sri City, spread over an area of 107 acres in the state of Andhra Pradesh. The company began its manufacturing operations in April 2016, with strong focus on quality and commitment to Indian market. 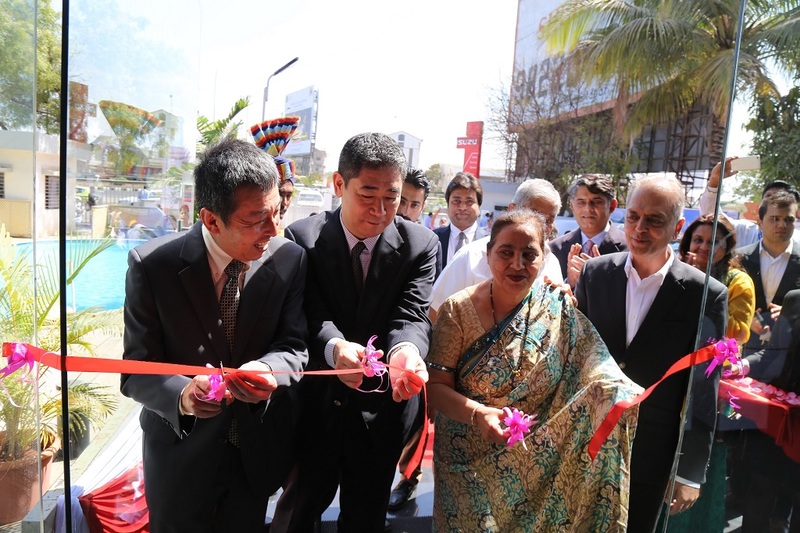 Isuzu Motors India began its vehicle production with high levels of localisation at Start of Production (SoP) and aims to increase it in future. The initial production capacity of the manufacturing plant is 50,000 units per annum. The company has dedicated dealer outlets, strategically located in 30 locations across the country.